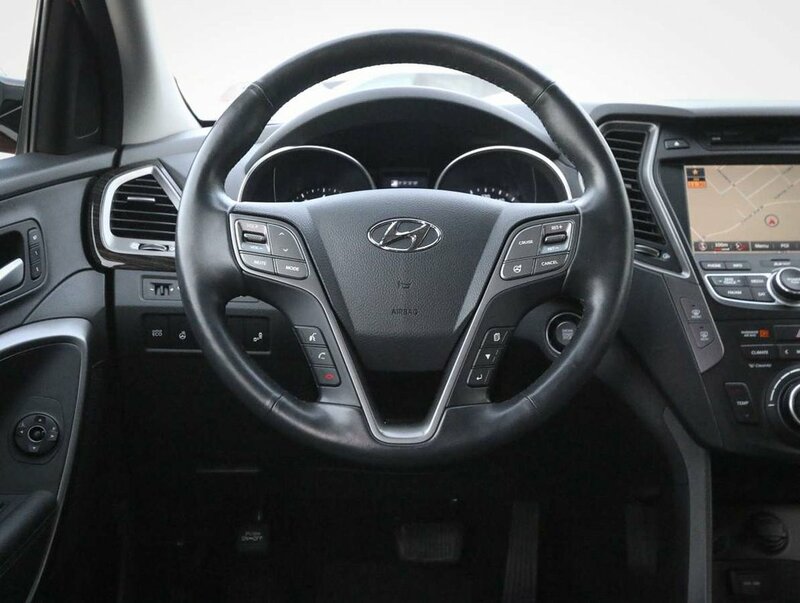 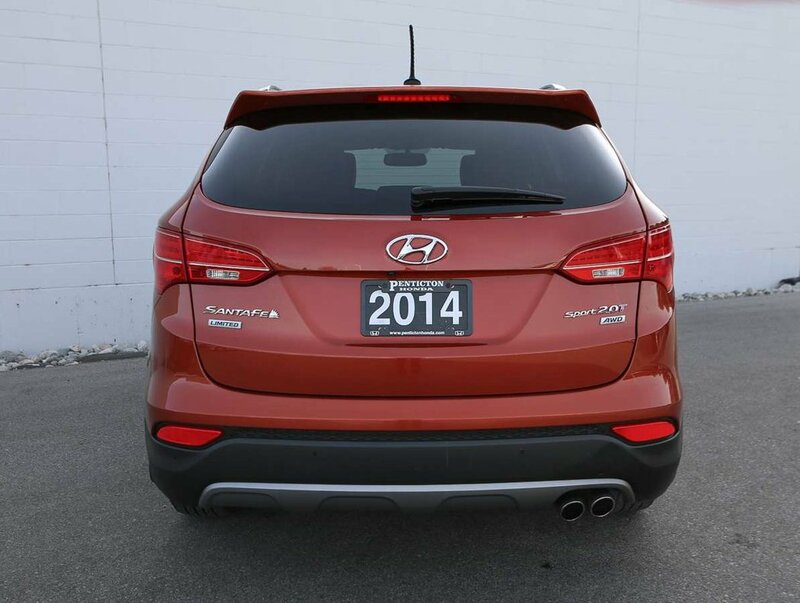 Purchased in April of 2014 at the Penticton Hyundai dealership, where it has been regularly serviced and maintained. 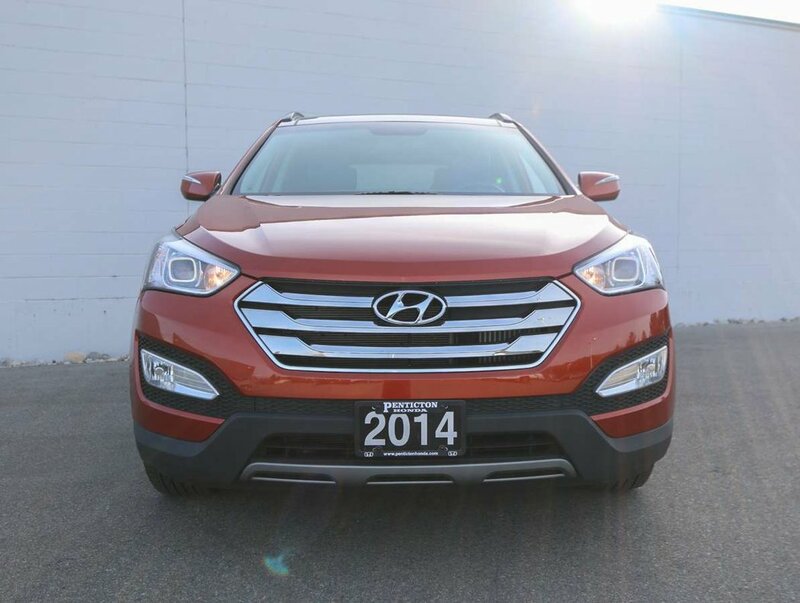 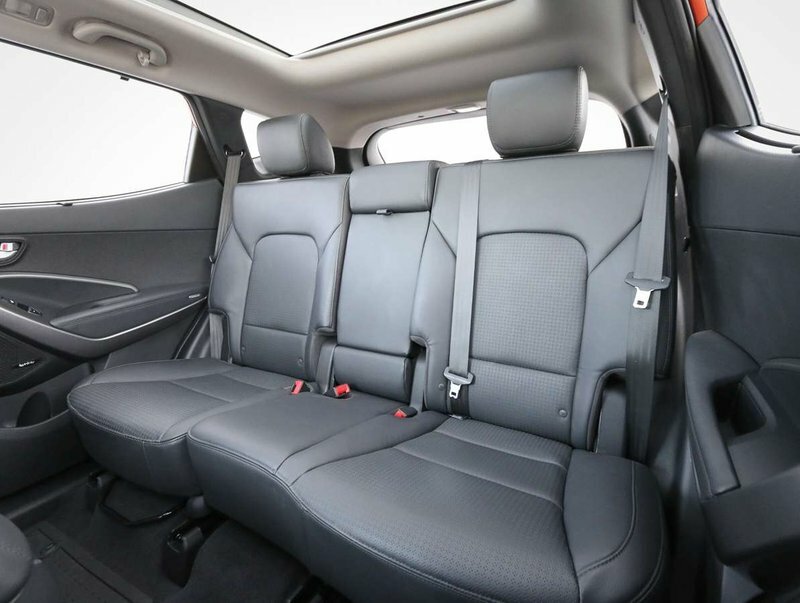 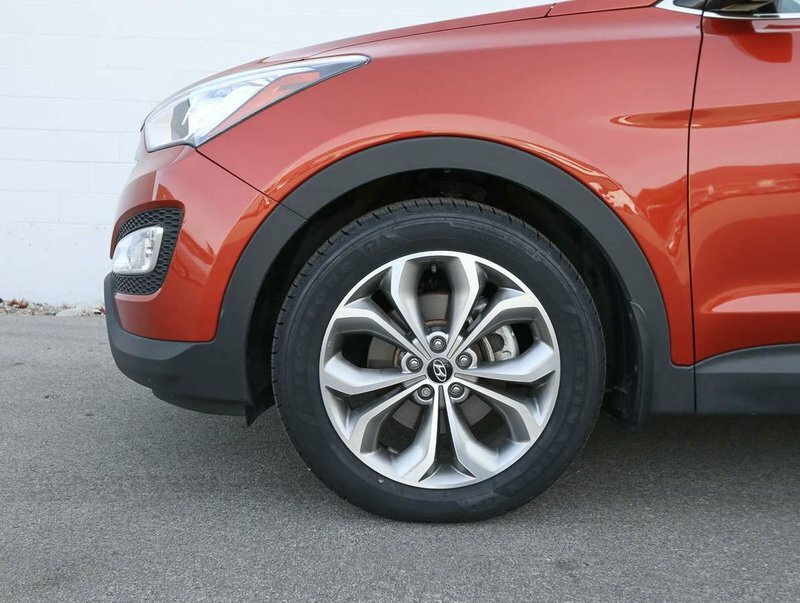 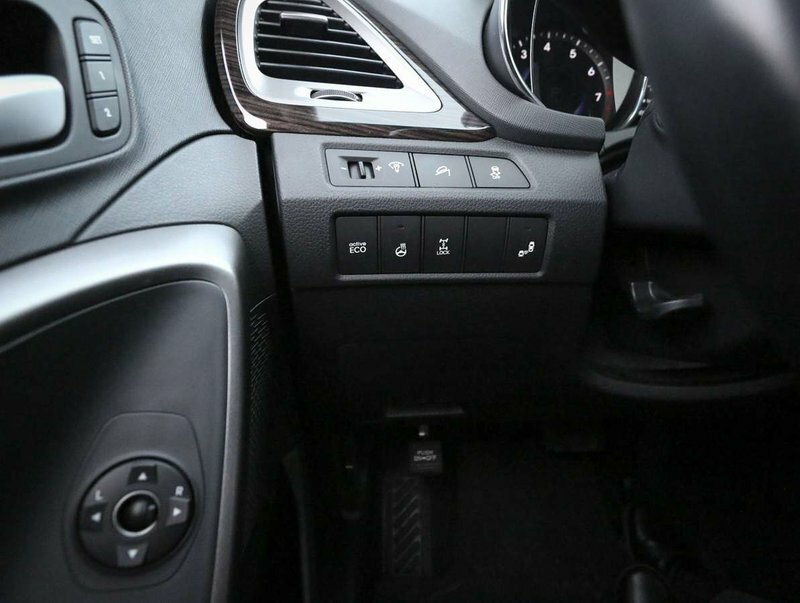 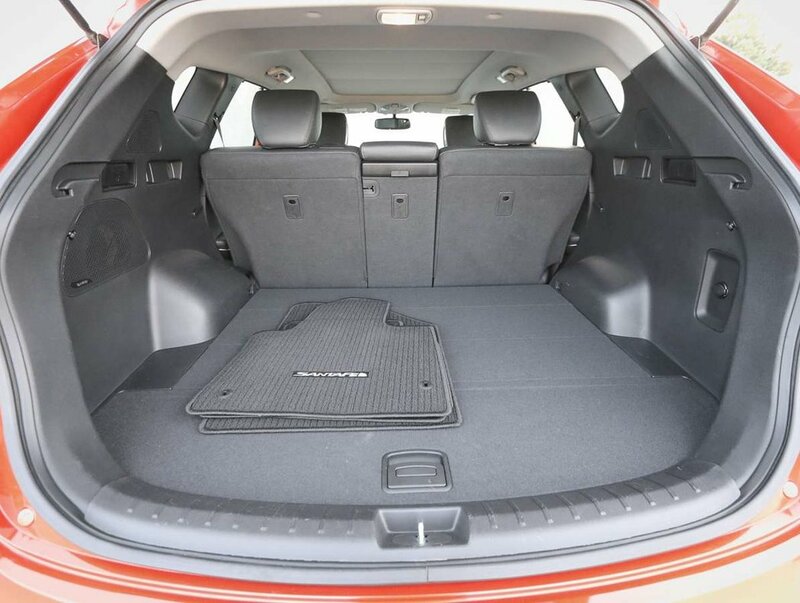 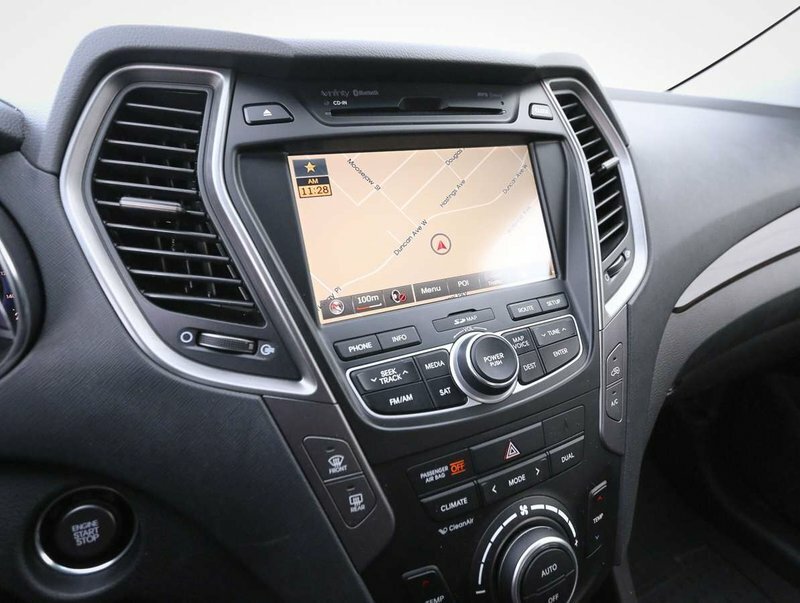 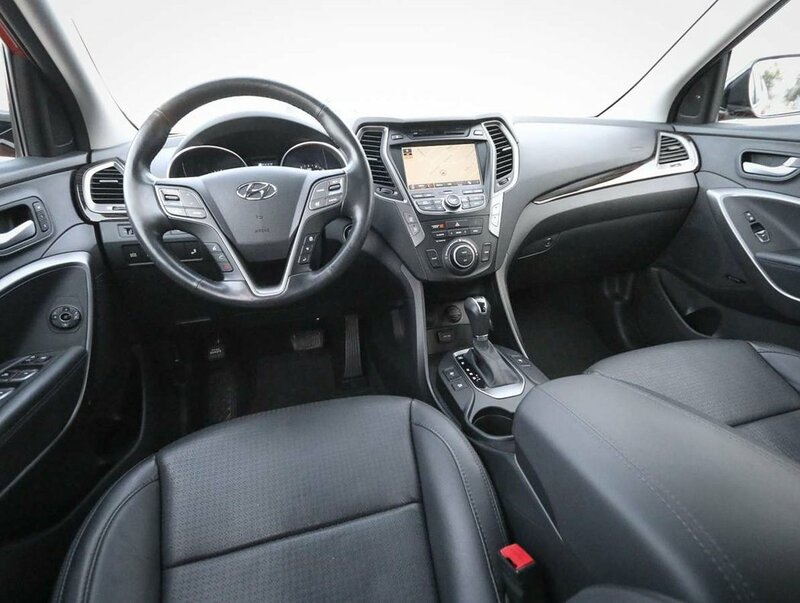 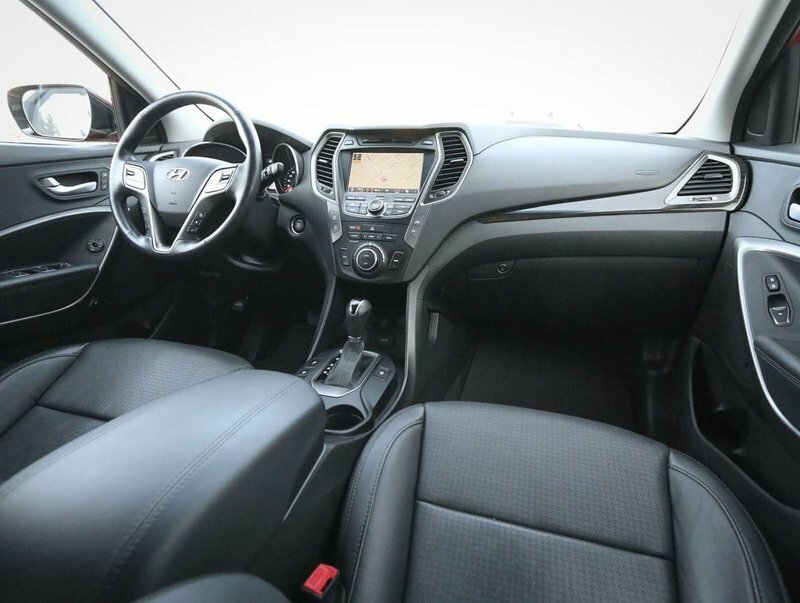 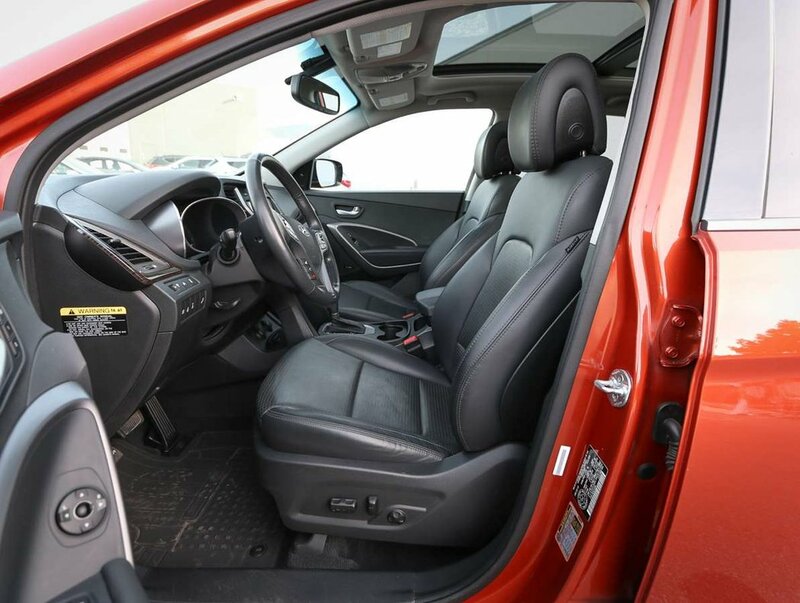 This 2014 Hyundai Santa Fe Sport Limited comes in a stunning Canyon Copper Metallic exterior, paired with a black leather interior that shows beautifully and has never been smoked in. 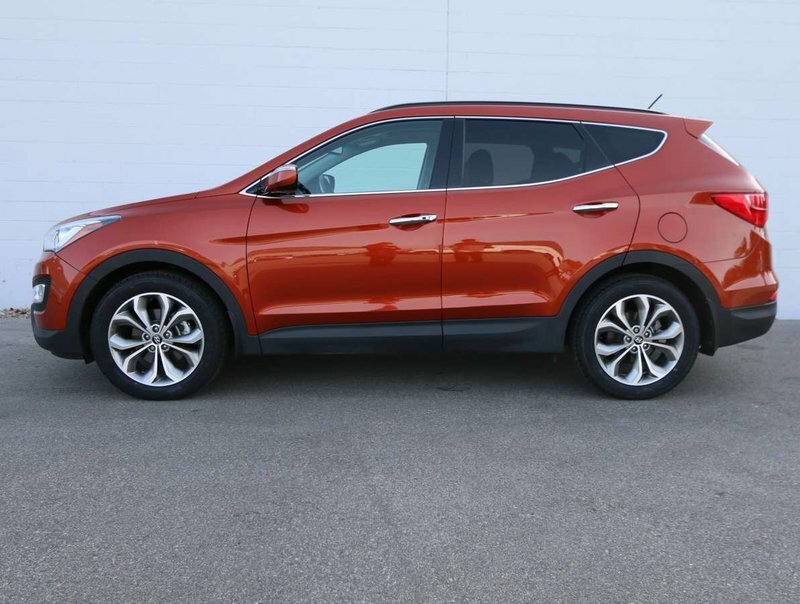 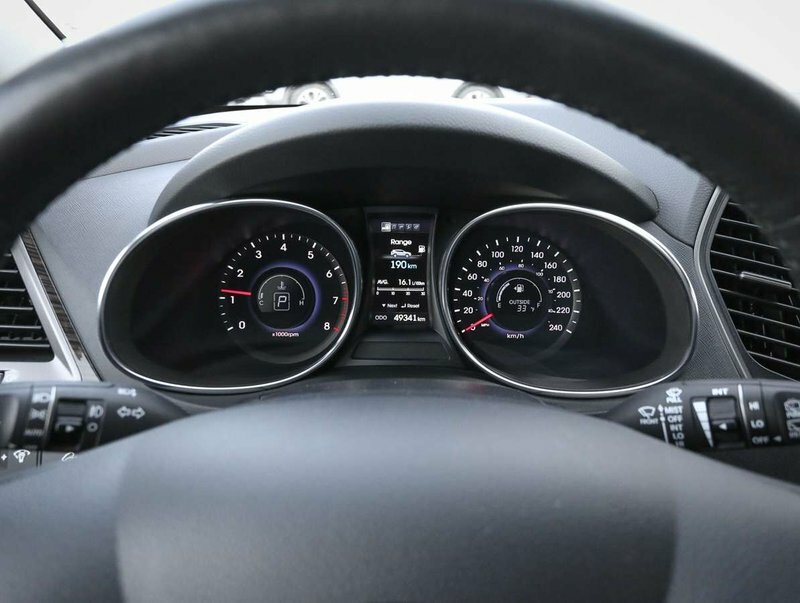 With less than 50,000 KM's, the Santa Fe has only been driven 10,000 km's/year, way below the 20,000/year national average. 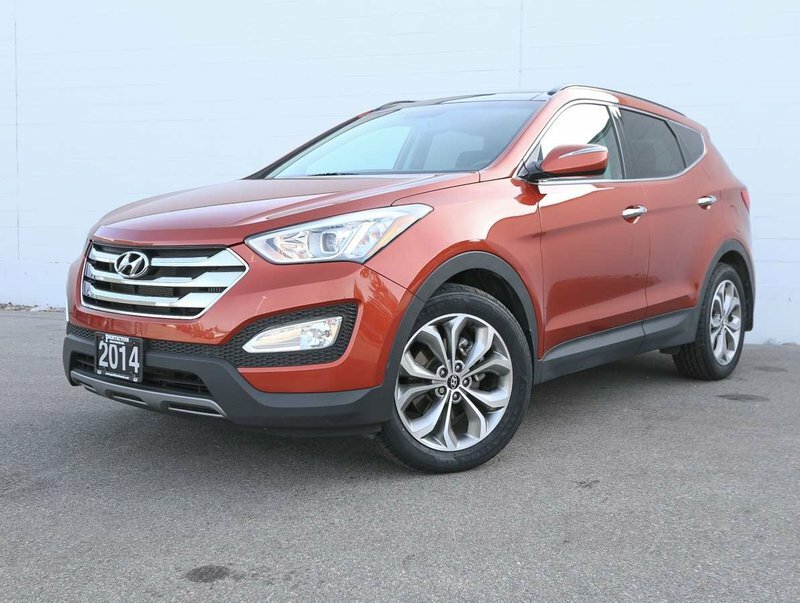 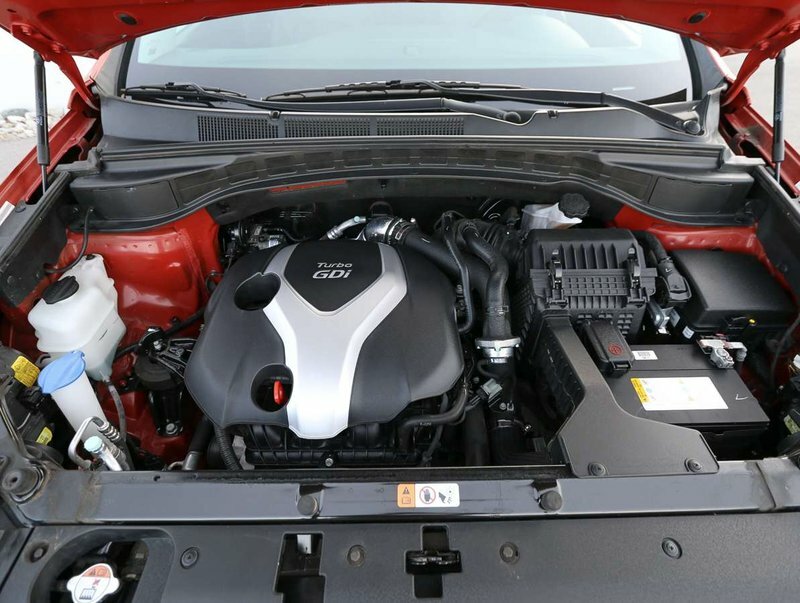 Powering this 2014 Santa Fe is an Intercooled Turbo Regular Unleaded I-4 cylinder, 2.0 L engine that produces 264hp and gets up to 24MPG. 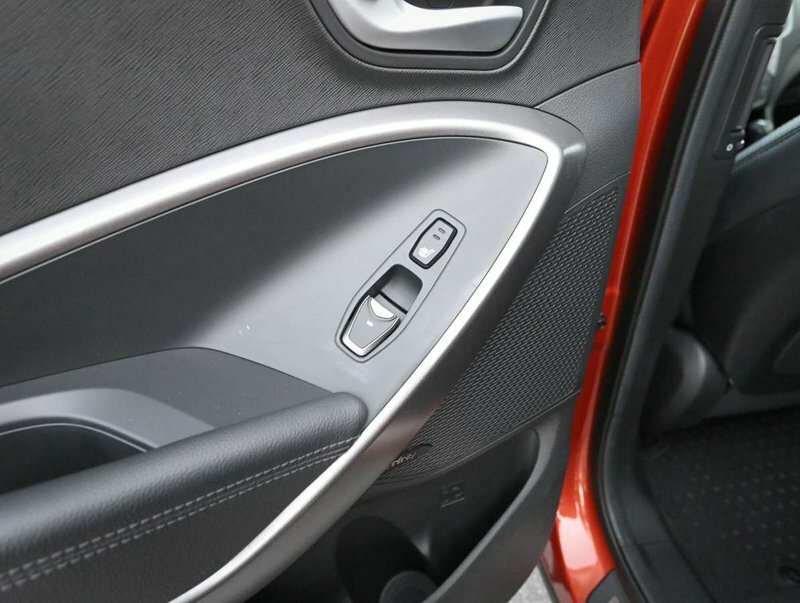 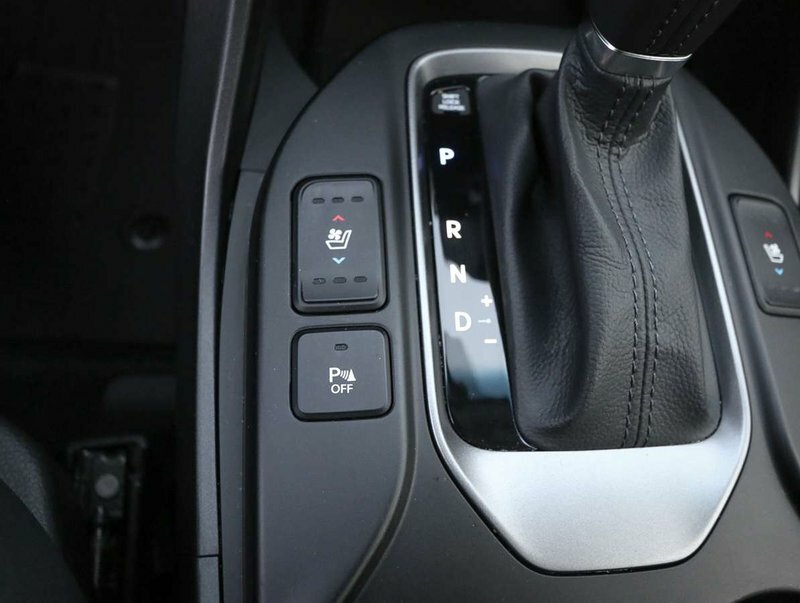 Comes with 2 smart key fobs and original owner's manuals. 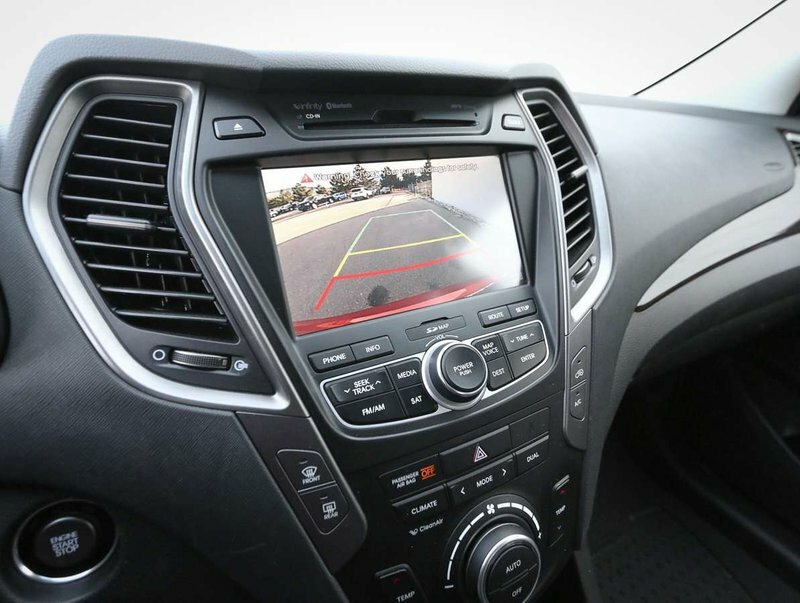 The Santa Fe has been put through a multi-point, comprehensive used vehicle safety inspection to ensure driving quality. 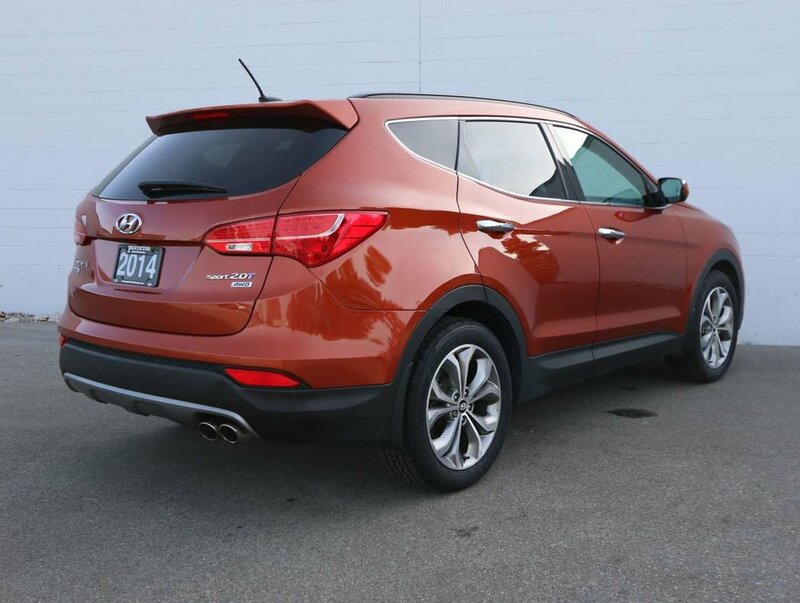 Just some of the features in this top-model Sport Limited include power windows/locks/mirrors, touchscreen navigation, reverse camera, heated/ventilated front leather seats, heated rear seats, AM/FM/SXM/ Infinity audio system, park assist sensors, traction control, downhill assist, panoramic sunroof, heated leather wrapped steering wheel with cruise/audio and Bluetooth controls, 2.0 Turbo engine, AWD and so much more!